We Presbyterians like things decent and in order. We spend a lot of time in conversation about polity, governance, and even publish a revised Book of Order every two years. Which is about the time it takes to have completed reading each volume. So if presbyterians would have been present at Pentecost some two-thousand years ago, what would we have been doing? We may have have been those with propositions for the appointment of a new committee to evaluate what took place when tongues of fire rested on those who had not yet completed the proper validated ministry paperwork. We may have wanted to make sure there was proper liturgical framing around the worship gone holy chaos. We may have wanted to make sure each person who attended the gathering was properly accounted for with a color-coded name tag according to their region and leadership role. There we are- πρεσβύτεροι, presbyteroi, elders. We were there all along. Presbyterian elders dreaming alongside young people as they imagine where and how the Spirit would flip the world upside down and dawn a new movement of welcome and shalom for all people. The answer to what presbyterians would have been doing at Pentecost- we would have been an intergenerational network visioning and dreaming of Spirit-led possibilities. If we have the eyes to see and the ears to hear, the same still rings true. In the midst of tired narratives of decline and perceived irrelevance, if we lift our gaze upward and outward, we will see a varied vision that reminds us the Spirit is still alive and well through our ministry dreamers, young and old, near and far. Pastors are advocating for the reform of our criminal justice system. Small churches host local artists, many who have previously been incarcerated, transforming old fellowship halls into studios for developing elaborate murals. Mission co-workers advocate for education, those caught within trafficking circles, and the alleviation of hunger and poverty. Pastors and church leaders host conversations on such urgent matters as pervasive racism, increased gun violence, and our need to extend welcome when our region experiences and influx of immigrants fleeing violence and civil war. Ecumenical partnerships are leveraged as congregations without walls are imagined alongside people experiencing chronic street homelessness. Preschools for low income families, after-school programs in the midst dysfunctional school districts, and coffee houses for young adults with disabilities are just a few other testaments that presbyterians are dreamers and innovators still. Yes, reformation and revaluation is much needed. Indeed, we may need to rethink and drastically reimagine our organizational structure, leadership designs, and mechanisms for leveraging, equipping, and sustaining new models for congregational and community ministry. We may even nee to lay to rest elements of what we used to do and who we used to be in light of our ever-changing social and religious contexts. What we must not do is cease dreaming. We must not doubt the Spirit has given us the ability to vision fresh opportunities to embody the Good News of Christ within a world still so deeply fractured, fragmented, segregated, and unjust. 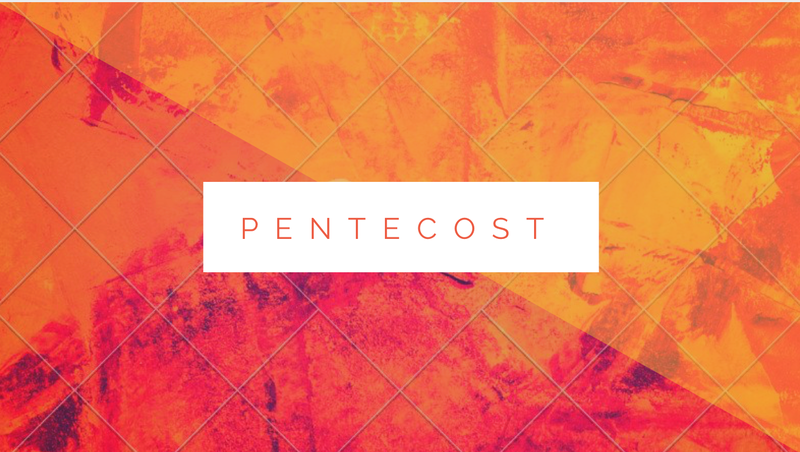 We must not forget the story of Pentecost. After all, this disruptive and disorderly story of wild dreams and wide-open possibilities cannot be told without presbyterians. We are literally written into it.